It's been quite some time since I wrote an article strictly about Disney history, so today I'm bringing it back and sharing a few stories that long time Disney fans may know and love but other guests may completely overlook. Disney is a surprisingly unique property. Thankfully, with the gift of time and the blessing of space things have always been growing and changing since the very beginning of Walt Disney World. Unfortunately as things change, a few stories and experiences are also left behind. As true as that statement may be, the legacy those attractions and experiences develop for guests have created stories that have been passed down for years on end. As many of you may know, I was not there in the early years of Walt Disney World. Unfortunately that was before my time, but I've always been and likely always will be fascinated by the stories friends and family share with me of the years before my recollection of the parks. You could call it nostalgia or perhaps an appreciation of history and the little details of Walt Disney World, but to me it's more an appreciation of story in the most basic sense. 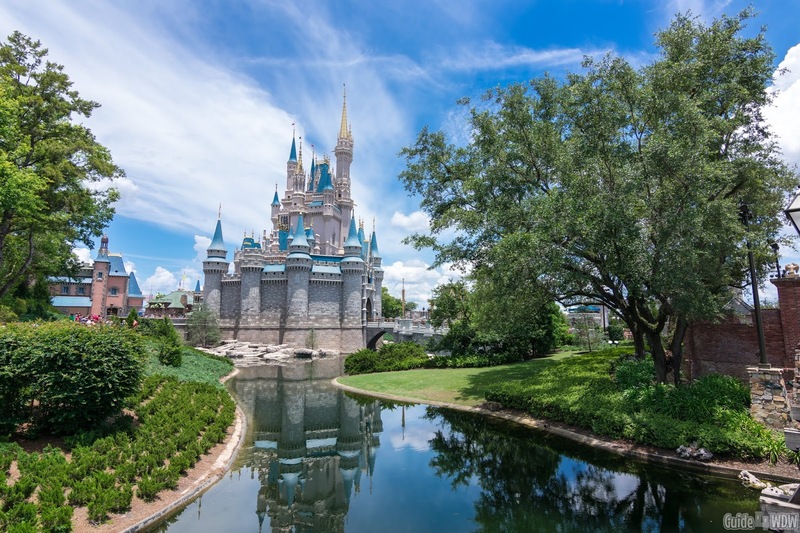 You see, Disney is a living history book at times and the stories it has created for guests often transcend the made up stories within the attractions and carry over into the "real world" stories of how these attractions and experiences developed. That's what I hope to share with you today. The Orange Bird has had a unique rise and fall within the parks locally and internationally over the last 14 years. Today, the character and Sunshine Tree Terrace of Adventureland are a newly iconic piece of the Magic Kingdom lineup. However, it hasn't always been that way. In the early 1970's and very early years of Walt Disney World, the Orange Bird was created in partnership with the Florida Citrus Commission as a sponsorship agreement for the Enchanted Tiki Room. At that time, the character was more of a PR item than anything else and a way to back the attraction (in my opinion). In typical Disney style, every character had to have a story and the Orange Bird was no different. The bird was incapable of singing but ironically had a song that accompanied the years it spent in the parks written by none other than the legendary Sherman Brothers. If you remember the song or have heard it pop up years later, you inevitably and unashamedly started singing it as soon as you saw this character on our list. For those of you who may have never heard it, here's a quick clip from youtube to get stuck in your head. Sadly after years of the Orange bird being in the parks and in that prominent Sunshine Tree Terrace roll, the character disappeared from the Magic Kingdom. Rather strangely, in 2004 Orange Bird arrived at Tokyo Disneyland as a correlation with a Japanese holiday and a series of simple festivities the park developed for the occasion. In kind of an odd way, the Orange Bird character was an instant hit and grew to mass popularity in the international park. So much so that around 5 or 6 years ago the Orange Bird made a welcomed return to Magic Kingdom. At first the characters re-introduction almost felt like a "test" to see how it would be received by guests, but it quickly grew in popularity. Today, Orange Bird merchandise can be found all over the parks and while Sunshine Tree Terrace isn't in the exact same place that it once was, the history the character brings to the park is greater than many may realize. The details and history of this attraction are truly mind blowing. So much so that I could never share the whole story here in this short article, but I'll happily share a brief rendition. 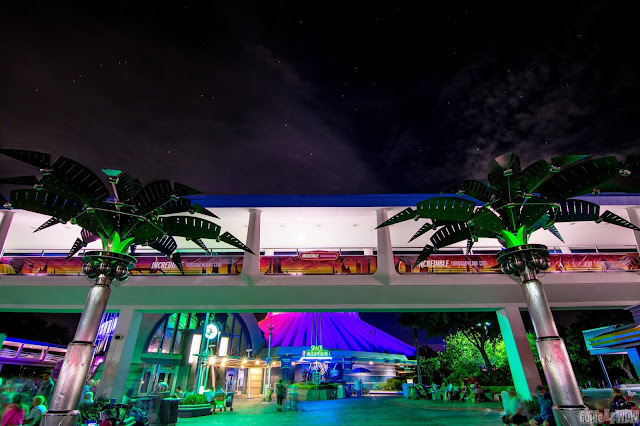 The PeopleMover story essentially begins at the 1964 World's Fair many years before it would become a reality at both Disneyland and Walt Disney World. The project was, in a rather simple description, a creation developed for the Ford Motor Company's pavilion at the 1964 World's Fair in New York. That particularly world's fair was an incredible turning point for Disney in the realm of creativity and ingenuity and the Ford project was no exception. Ford had a grand idea of sending guests through their pavilion along a track in one of their forward thinking vehicles of that time, but they had to find a way to make the process more guest friendly opposed to simply driving them around. As a result, the WEDway PeopleMover system was born. The design allowed a vehicle to move along a fixed track with a wheel embedded within the track to move the vehicle without having to have a driver of motor for the car itself. Later on, this same concept was brought to Disneyland as an attraction towering over Tomorrowland transporting guests on a seemingly non-stop basis. The ride vehicles were far smaller than a Ford automobile and the track proudly featured "Goodyear" tires as a means of propulsion. Just as before, the vehicles themselves had no motor. It was an incredibly creative concept and one that was set to revolutionize transportation. Sadly, that obviously never became a reality and the Disneyland iteration of this attraction closed in 1995, but the system we enjoy today in Walt Disney World is quite similar. It is different in that it uses a linear induction system opposed to a tire based rotating wheel but the ride itself is the closest thing to the original iteration you can enjoy today. Will it ever be re-introduced at Disneyland? I doubt it... but anything's possible. The Many Adventures of Winnie the Pooh has created kind of a love-hate relationship among Disney enthusiasts. 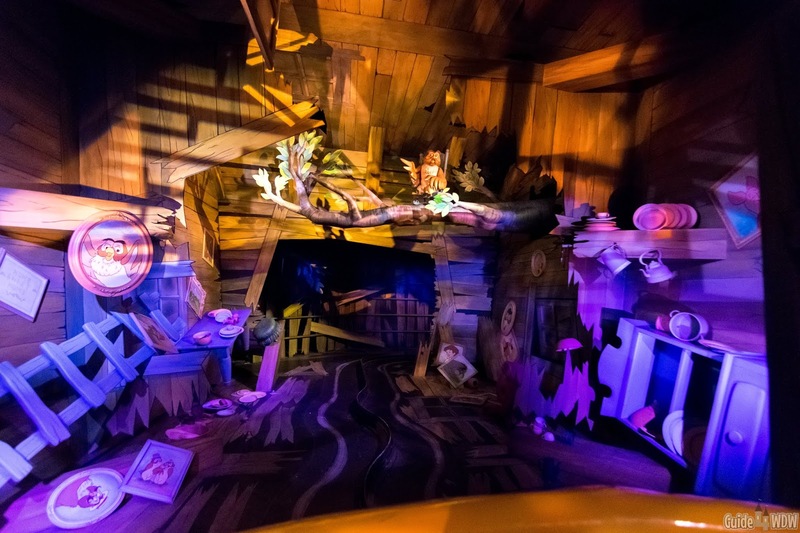 The great "debate" over this attraction stems from the attraction it sadly replaced in 1998, Mr. Toad's Wild Ride. Out at Disneyland, Mr. Toad's Wild Ride was a day one attraction and part of that nostalgia carried over to the Walt Disney World iteration. The attraction itself was the definition of a near perfect dark ride. It took you through a story, had a fun and adventurous pace, and while incredibly simple, the simplicity is part of what made it great. Truthfully I can only go off of what I've been told about this classic attraction. Sadly, I have yet to experience the Disneyland iteration (that trip is on my list!) and the Walt Disney World iteration closed before my 3rd birthday rolled around. As true as that may be, Mr Toad and his legacy can be found throughout Walt Disney World today hidden in plain sight. If you've ever ridden the Many Adventures of Winnie the Pooh you may have seen a tribute to Mr. Toad in the form of a painting or if you've ever checked out the pet cemetery of the Haunted Mansion you've also come across a tribute to Mr. Toad hiding in plain site. Part of me believes these little elements were intentionally added to calm fans who protested the closing of the attraction, but another part of me still feels as if Imagineering also shares in a bit of disappointment thinking back at "what was." These are just a few simple stories to touch the surface of all the hidden backstories of Walt Disney World and I share them for a reason. Perhaps you've been to Disney hundreds of times or maybe you're a first time guest. No matter what, I believe that there's a certain level of deeper appreciation that can be recognized when we know not only what we see today but also when we know the stories of how it got there and where it came from. The people who put it there and the people who made it a reality make up a far greater story than the attraction itself portrays. It's not a story that you'll see written outside the attraction or one that Disney will throw up on their website but those hidden stories hiding in plain site are often what make an attraction different and unique from all other theme park attractions across the country. If nothing else, I hope these little snippets of much more elaborate attraction backstories encourage you to "dig a little deeper" (I can't be the only one who just sang the song...) and to enjoy the stories that make these attractions great. I'm not the perfect Disney historian, and sadly didn't get to experience too much of this first hand, so if you have thoughts to share or a story to tell, don't hesitate to leave it in the comments or shoot me a message on your favorite social media platform.